The easiest way to learn how to say Mele Kalikimaka is to listen to Bing Crosby sing this classic song from his White Christmas album. See the below video of Hawaii scenes set to the famous song, Mele Kalikimaka. 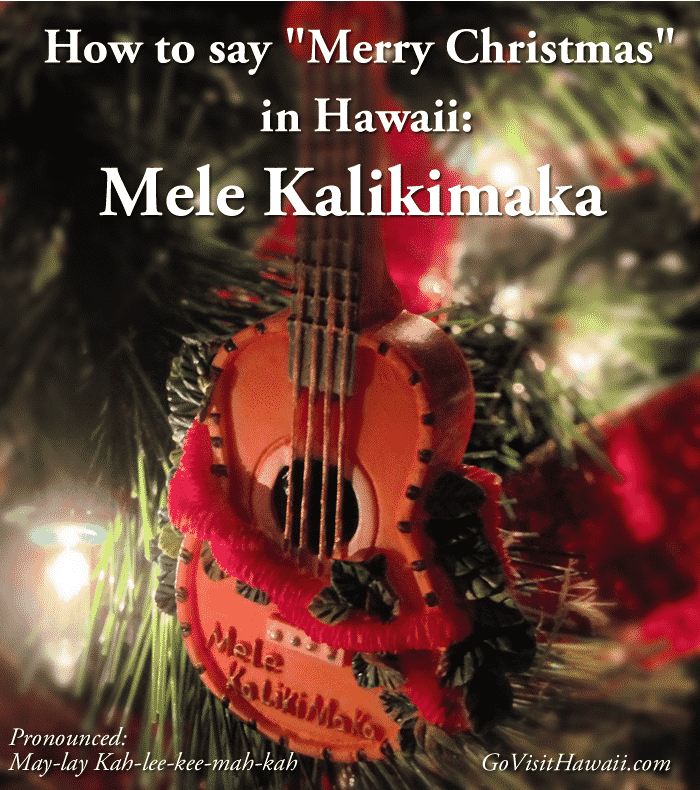 Soon you’ll be singing right along and Mele Kalikimaka will roll right off your tongue. See this photo collection showing the unique ways Hawaii decorates for Christmas. See the following link if you would you like to learn how to spell and pronounce Happy New Year in Hawaiian. When I was in Maui last month, Honolua Surf Co. had a cool t-shirt for sale – a Hawaiian-style Christmas tree, with “Mele Kalikimaka” below it, and “Hau’oli Makahiki Hou” on the side (Hawaiian for happy new year). Unfortunately, I don’t see it for sale on their website. 🙁 But something to look out for, for those who will be around. I wish Bing Crosby wrote a song for “Hau’oli Makahiki Hou” as well – I have a hard time saying it! Al — that would be a fun shirt to have. I’m happy to say that their is a Hawaii Christmas song out that is Country . The title is how the word Christmas is said in Hawaiian . I heard the song tonite on CMA Christmas songs .It is a very beautiful song . As of now ,I am trying to find the words . Thank you. Have a Merry Christmas & a Happy aNew Year .